Six journalists were on weekend won the maiden Excellence Awards by Malaria No More for their commitment to malaria reporting within the past year. The winners include, Mrs. Appolonia Adeyemi, Health Editor, New Telegraph (print category), Ms. Linda Nengi Finecountry, AIT Rivers (television category), Mrs. Tosin Odusola, Health Reporter, Eko FM/Radio Lagos (Radio Category) and Haruna Godwin, This Day (runner up, print category) were announced during the event. 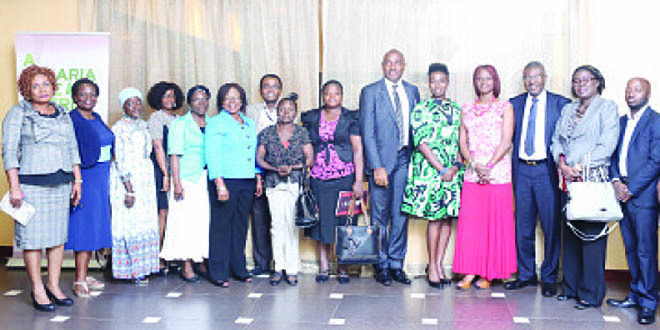 The winners all received 100,000 Naira cash prizes while the runner up in print category received 50,000 Naira. The awards which held at Zen Garden, Ikeja GRA, Lagos was attended by journalists from nine media houses, Corporate Affairs Manager, Total Nigeria Plc and Dr. Mike Okolo from Pan Atlantic University. The criteria for being a recipient of the prize for malaria reporting are detailed, accurate and consistent articles on malaria with human angled stories. Presenting the certificates were Mr. Albert Mabuyaku, Total Nigeria Plc., Dr. Mike Okolo, Pan Atlantic University, Mrs. Omowumi George, Lagos State Ministry of Health and Mrs. Charity Binka, AMMREN, Ghana. In 2014, Malaria No More partnered with 35 journalists across print, radio and television who are passionate about health issues in Nigeria; to drive the publishing of at least one quarterly robust news feature on malaria between 2014 and 2015. The aim is to increase the level of information available to the public about malaria and consequently change the response and behaviour of people to malaria. Malaria No more, supported by ExxonMobil had trained journalists across three states in Nigeria; Akwa Ibom, Lagos and Rivers, to achieve wide spread reports from different parts of the country. Furthermore to the capacity building workshops organized for the journalists, Malaria No More committed to instituting an award for ‘Malaria Reporting’ to recognize and celebrate the commitment channelled into malaria reporting within the past year. Three judges from diverse backgrounds including Mr. Sola Ogundipe; Health Editor, Vanguard newspaper, Mrs. Itohowo Uko; Head ACSM branch, National Malaria Elimination Programme and Sarah Doyle, Malaria No More reviewed and judged the 27 entries that were received across the three categories. The winners expressed their delight as recipients of the awards, unanimously agreeing that the awards is motivation to do more. The Country Director, Malaria No More, Nigeria Mrs. Dayo Oluwole in her remarks discussed a road map for journalist engagement in 2016 which will be hinged on capacity building, raising the profile of malaria and resource mobilization. She also thanked the journalists for their commitment towards a malaria free Nigeria and further encouraged them to keep reporting about malaria. She is excited about the next edition of the awards and envisages a bigger platform with better rewards for the award recipients in 2016. Malaria No More is determined to end malaria deaths. “We’re helping the world get it done by engaging leaders, rallying the public, and delivering life-saving tools and education to families across Africa,” Oluwole said. Founded in 2006 by business leaders Ray Chambers and Peter Chernin, Malaria No More is working to create a world in which no one dies from a mosquito bite. This story was published in Newswatch Times on August 27, 2015.